'A Rare Bird Sighting': 'Slash' As A New Conjunction : The Two-Way Anne Curzan, a professor at the University of Michigan, was stunned by a new slang word her students taught her. It's a new conjunction, a very rare bird for language nerds. Slash, all the cool kids are saying it. Well, some young people are saying it. If there is one piece we recommend you read today, it would be the latest from Anne Curzan at The Chronicle of Higher Education's Lingua Franca blog. Curzan explains that in a history of English course she teaches at the University of Michigan, she requires students to teach her slang terms. This semester, students stunned her with a brand new conjunction. The highlight is that young people today are using "slash" — as in the punctuation — as a word. No, they're not just saying it, they're writing it to mean something that is not quite "and," not quite "and/or" or even "as well as." An example: "Has anyone seen my moccasins anywhere? Slash, were they given to someone to wear home ever?" "Slash is clearly a word to watch. Slash I do mean word, not punctuation mark. The emergence of a new conjunction/conjunctive adverb (let alone one stemming from a punctuation mark) is like a rare-bird sighting in the world of linguistics: an innovation in the slang of young people embedding itself as a function word in the language." We'll let you read her post, slash it's totally worth it if you're in any way a language nerd. Reader Matthew Stuckwisch points us to a post from August 2010 where Geoffrey Pullum, co-author of the Cambridge Grammar of the English Language, dissects "slash." 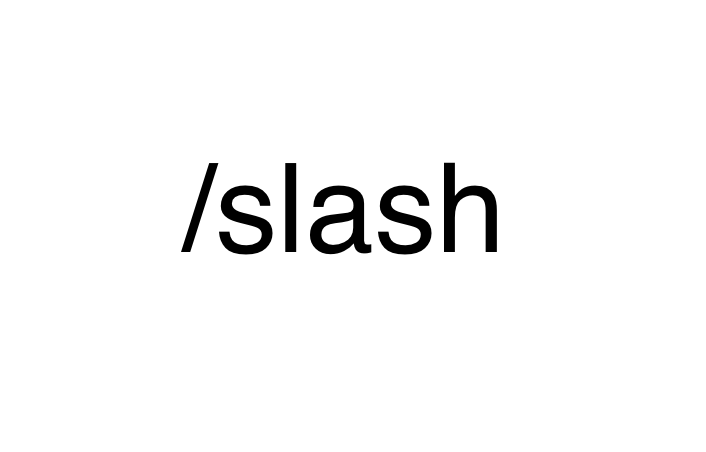 Pullum concludes slash has indeed morphed from punctuation to a conjunction slash coordinator. Now, it seems to us, that Curzan has taken this a step further, arguing that not only is slash a conjunction but also that its meaning has morphed into something very different.